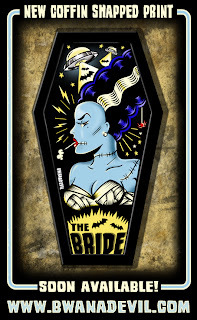 New coffin shaped art print "The Bride" soon available at http://www.bwanadevil.com/! Nueva ilustracion enmarcada en forma de ataud "The Bride" muy pronto disponible en www.bwanadevil.com! New BwanaDevil poster designs now available! From today on you will find available at www.bwanadevil.com our new large format posters. 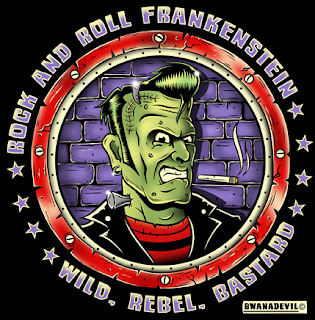 We're talking about Rock and Roll Frankenstein and Vampira the Scream Queen. Both illustration have been designed under the influence of our passion for classic horror movies, sci-fi and rock and roll. The size of the posters are 19.6 x 19.6 in. (50 x 50 cm.) 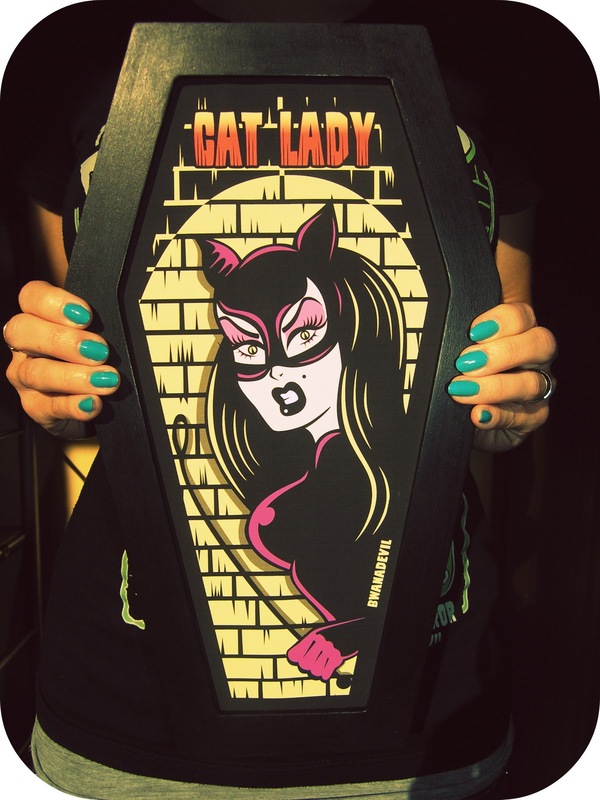 and are available in glossy or matted finish. Not only that but when you visit our web you'll also find our brand new collection of Coffin-Sahped Illustrations, four new illustrations framed in original coffin-shaped frames! 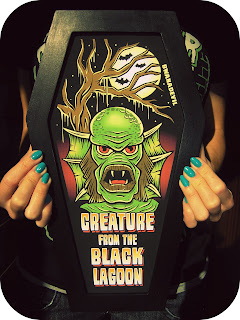 You will find Vampira, Frankenstein, Creature from the Black Lagoon and Cat Lady. The frames are made of wood, painted in matte black with clear acrylic front panel, perfect to hang on your favorite wall and it would also make a great gift! 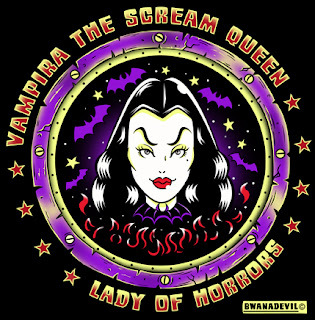 Visit www.bwanadevil.com today! 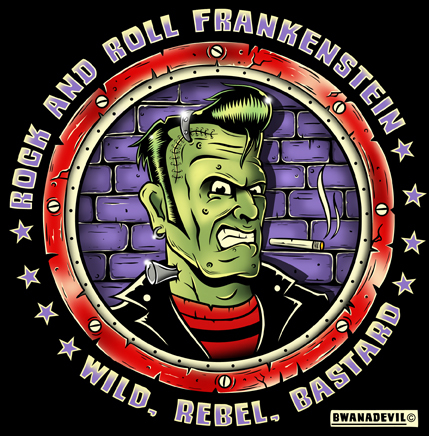 Rock and Roll Frankenstein illustration based on our passion for classic horror movies and Rock and Roll. 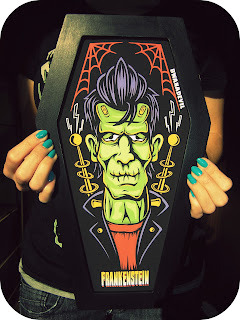 Rock and Roll Frankenstein, ilustración basada en nuestra pasión por el cine clásico de terror y el Rock and Roll. Finally done and up hanging on our walls! 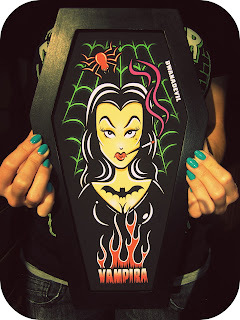 The idea of making our own collection of coffin frames, have been running through our heads for a long time. Now we hope you'll enjoy them as much as we enjoyed working on them. These frames were exclusively made for BwanaDevil so you wont find another alike anywhere else! 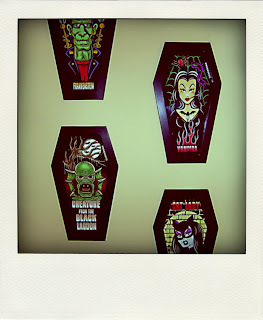 If you want the four of them hanging on your wall, contact us sending us en email to info@bwanadevil.com and we'll make you a special offer!